FDG PET is very Sn & Sp for adrenal malignancy. 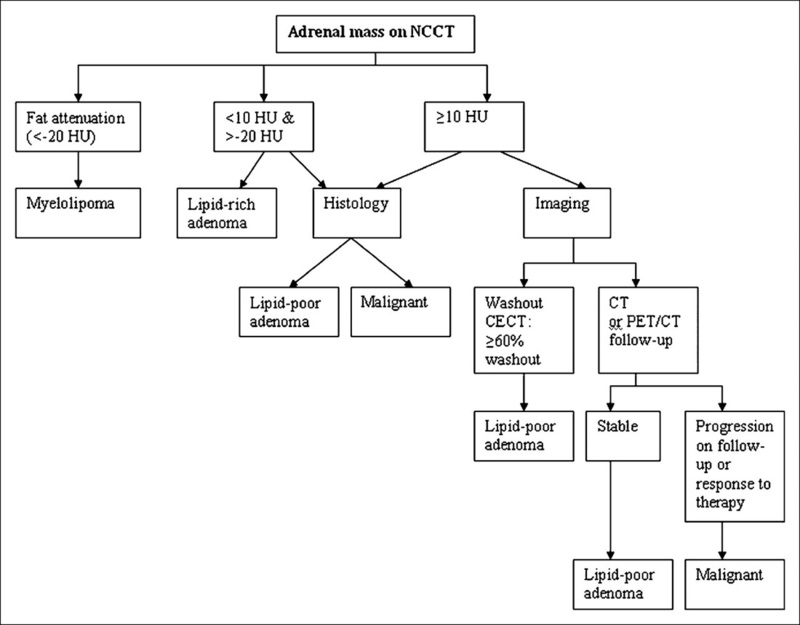 On a related note, this algorithm can be used to help determine whether an adrenal mass seen on CT is benign or malignant. Metser U et al. F-18 FDG PET/CT in the Evaluation of Adrenal Masses. JNM 2006 47(1):32-37. Caoili EM et al. Adrenal Masses: Characterization with Combined Unenhanced and Delayed Enhanced CT. 2002 Radiology, 222, 629-633.